Gamification has become widely acknowledged as a valuable tool in engaging employees more fully in corporate learning programs. But many people say you only need certain aspects of gamification – like leaderboards and badges. They say that using games to deliver eLearning is counter-productive. It distracts people from their jobs. They don’t learn enough. We say don’t be so hasty! Game play isn’t just about fun. There’s some serious brain science at work behind the game that’s integrated with learning chunks. Before you dismiss the idea of integrating game play with learning, take a look at 3 reasons we think it’s a powerful method for delivering learning for the long term. By integrating learning right into game play, we are generating an increased level of arousal in the brain. At some point, we’ve all fought to stay awake during a training session: that’s a distinct lack of arousal. Likewise, we’ve all experienced something so interesting that we sit forward in our chair, and pay attention. That’s arousal, and it’s something you find when people play games they enjoy. Now, here’s the science! The Prefrontal Cortex (PFC) is the region of the brain that directs and sustains attention. To function effectively, researchers including Dr. Amy F.T. Arnsten, Professor of Neurobiology and Psychology at Yale University, have identified that the PFC needs the right amount of arousal to allow it to increase attention on relevant information, and filter out distractions. Emotionally arousing information can lead to better memory encoding, therefore influencing better retention and retrieval of information. Game play increases arousal. So when today’s workers sit down to participate in an eLearning session woven through a game, their Prefrontal Cortex becomes aroused. They’re captivated, and fully engaged. And primed to learn. To learn, we need to focus our attention. But the PreFrontal Cortex can only take so much before it needs a time out. It gets tired. We get distracted. Researchers have recently established that even brief diversions from a task can dramatically improve your ability to focus on that task for prolonged periods. Their research established that switching from a main task to a second task could significantly improve performance in the main task. 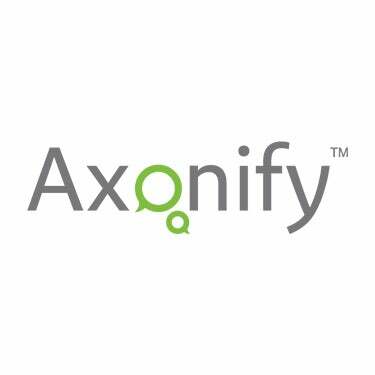 In Axonify, we integrate learning in bite-sized pieces right into the midst of game play. So while learners focus on the learning module, they complete it and jump back into game play before they get an information overload. This gives them break they need from learning, while focusing on game play that doesn’t require laser focus, and may even allow for a bit of daydreaming. When people equate learning with fun, they’re far more likely to participate. In fact, “game play” is Axonify’s most popular game mechanic and we have a ton of competition when it comes to popular game mechanics like our leaderboard, rewards and avatars! 67% of learners choose to take their learning from within one of the many games that Axonify offers them. In other words, 2/3 of our learners prefer to play a game while learning. And here’s one more staggering statistic for you: data pulled from our community of hundreds of thousands of daily users indicates that Axonify learners who play games participate 20% more than those who don’t. The more they participate, they more they learn. Game play in eLearning isn’t just about fun. It’s about harnessing the power of brain science to deliver more effective learning. It’s about improving knowledge retention. And job performance. Want to know more? Stay tuned for our upcoming white paper!